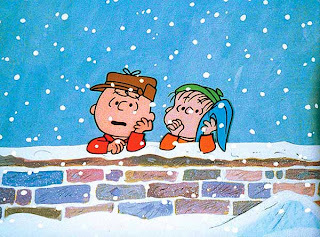 A Charlie Brown Christmas is something of a tradition in my family. Growing up, we didn't watch television, and the only times I ever really saw it was when we went over to my grandmother's house for dinner on Saturday nights. Mostly I saw classic Looney Tunes cartoons, or maybe some Three Stooges, Marx Brothers, or Laurel and Hardy. Every once in a while it was Little Rascals or Rocky and Bullwinkle. You know. The classics. 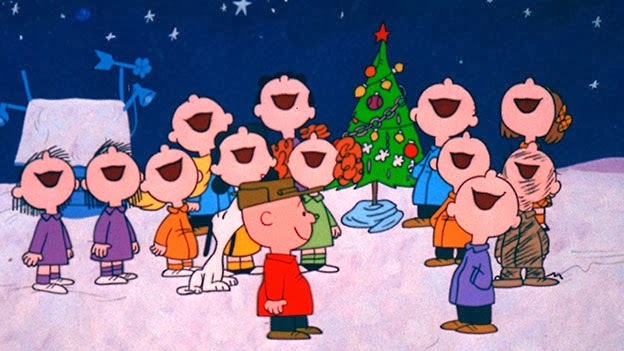 But once a year, on Christmas Eve, we'd go over to my grandmother's after church and cluster around her television (which still had the old school knob to turn it on and off), and watch The Grinch (animated, obviously) and A Charlie Brown Christmas. 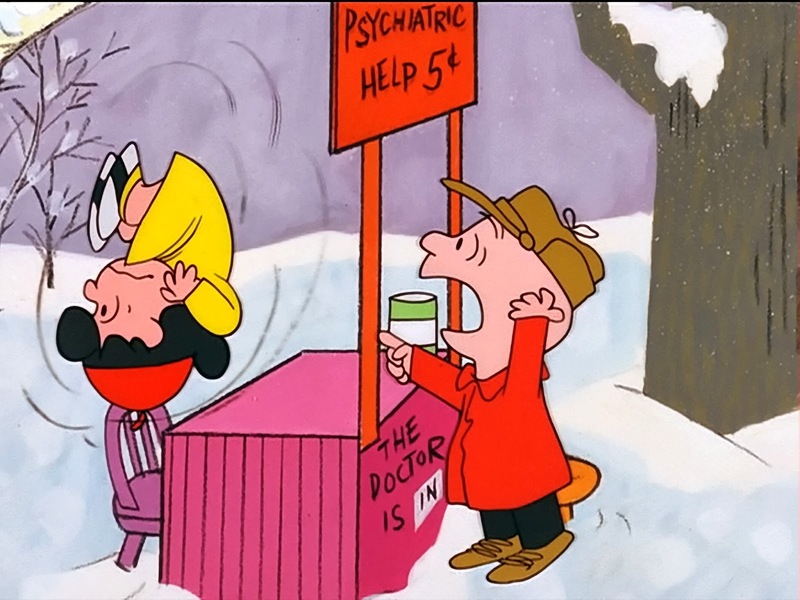 Those are the Christmas specials I grew up on, and until I was in college, those were the only one's I'd ever seen. So, obviously, A Charlie Brown Christmas is very meaningful to me and mine. That's not all that special in and of itself, particularly when you consider how long the movie has been around, and the fact that it doesn't just have a little bit of a message, it's kind of deeply political. That's right. 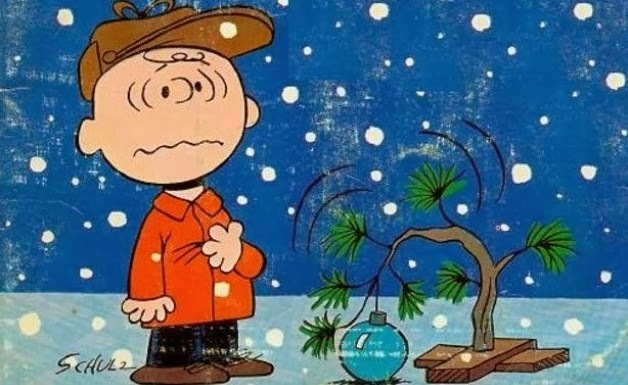 A Charlie Brown Christmas is hella political. Hold onto your hats folks. For anyone who's seen it past the age of ten, it's actually kind of hard to avoid the political, or at least social, overtones in the film. Made in the 1960s, it was a blatant reaction to modernization, and a comfortably strident critique of the commercialization and secularization of Christmas. Charlie Brown, our hero, is down and out because he doesn't feel like he fits in the Christmas spirit. Everyone he knows is asking for lots of presents and putting up lights and doing plays, and he just wants to talk about what it all means. 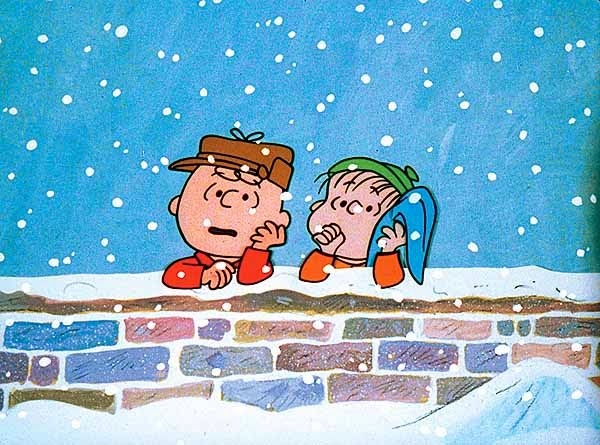 One of the more memorable scenes (the film is fairly episodic, following little strong structure, and that's okay) has Charlie Brown and Linus searching for a Christmas tree in a lot right before the Christmas pageant. 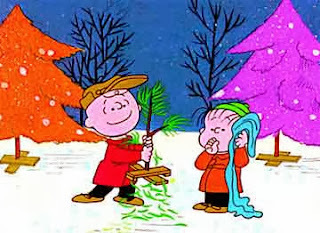 All the trees are brightly colored, made of aluminum or plastic, all kinds of fake, except for the one, spindly little Christmas twig that Charlie Brown takes and buys and demands to be loved. Of course the other characters hate his little tree, because it's sad and ugly and "not in the spirit of Christmas". 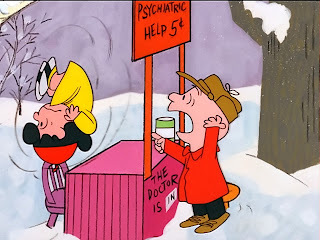 So they hurl abuse at Charlie Brown, as per usual, and demand he get a better one. It's not until Linus reminds everyone of the true meaning of Christmas, in that it is a celebration of Christ's birth two thousand years ago in a place where trees weren't particularly common, that they all get over it and agree to help Charlie Brown decorate the tree. Then everyone holds hands and sings Christmas carols. A lot of people like to hold up this movie as one of the strongholds in the fight against the "War on Christmas". But I disagree. Or rather, I don't disagree, but I disagree with everything else those other people think. That was confusing. I'll explain. I don't particularly like FOX News the rest of the year, but they really irk me around Christmas. On top of their seeming inability to acknowledge any other holidays, they also always go on and on about the "War on Christmas". How too many people are saying "Happy Holidays!" and how it's awful that some towns aren't comfortable showing an openly religious scene, like the Nativity, in a public space because that would be rude to some folks. Or how if you aren't buying lots of presents and reassuring people that Santa was a white guy, you're anti-Christmas. I have news about this. I am not anti-Christmas. I love Christmas. It's one of my favorite holidays. I'm a Christian, and it's a celebration of my Lord and Savior's birth. I'm totally down with that. In fact, I shall be spending tonight with my nearest and dearest, singing carols and opening precisely one present each and eating traditional German desserts because that's how we roll. I do believe there is a War on Christmas. But it's not coming from the people who want you to say Happy Holidays, or the guy who rightly points out that religion doesn't actually belong on the public land because that's literally illegal. It's coming from you, FOX News. You and your incessant need to dumb down Christmas. The reason I love The Grinch (animated) and A Charlie Brown Christmas is because they're right. Christmas is completely unrelated to commercialism, or at least it should be. We don't give each other presents at this time of year because we need to or because it's good for the economy or because we "want to win at gifting this year". Or at least we shouldn't give presents for those reasons. The presents at Christmas are meant in some way to remind those we love of how much we love them, because, if you are really trying to get at the Christian meaning of Christmas, this is the day when we remember how crazy and hard and bloody it was for the Son of God to decide to become a messy, stupid human like the rest of us, all so that he could die some thirty-ish years later in a way both painful and important. Christmas isn't about toys. It's not about lights or trees or "holiday spirit". The war on Christmas isn't coming from the people who just want to have a nice time. It's coming from everyone who screams so loudly that they represent Christianity and Christmas, while promoting the things we are actively supposed to abhor. Biblical Christianity is strongly against commercialism, and excessive personal wealth, and self-righteousness, and judgment. This is the time of year when we remember how much God loves us, and are you really suggesting that we should do that by trying to "win" at commercialism? Hell to the no. There is a War on Christmas. But it's coming from the people who are trying to dumb Christmas down into a nice sweet, "Christian" holiday where we give presents and we worship Santa. Christmas isn't about that. It's about an unwed teenage mother and her much older fiance. They're poor, so poor that they have to rely on handouts, and when she gives birth, it's messy and loud and painful. But it's good. Because that kid? He's going to change the world. And then he's going to die. Christmas is about remembering the beauty of how much that all hurt and what that means about God's heart for us. By all means, drink cocoa and set up a tree and watch some holiday specials. But remember that Christmas isn't really a nice holiday. It's not sweet. It's bloody and strong and it means something. And I dare FOX News to talk about that.